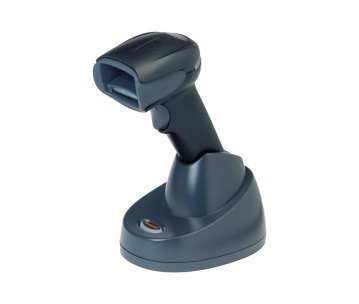 On the surface, the Datalogic Gryphon GBT4400 looks like a ground-breaking barcode scanner. But what happens when we compare the Datalogic Gryphon GBT4400, Motorola DS6878, and Honeywell Xenon 1902? 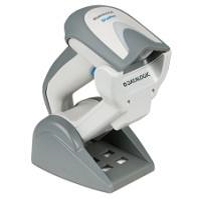 The Datalogic Gryphon GBT4400 offers a two-position cradle that allows it to work as a presentation scanner. All three scanners have many of the same high-quality features retailers have grown to appreciate. Where the differences become startling, however, is in more advanced features designed to speed along the work of front-line employees. Everyone knows the familiar “beep” of the grocery store check-out line. But there’s more than one way to let team members know they’ve completed a good scan of a barcode. All three barcode scanners show an LED and emit an audible beep when a good read is completed. But only the Datalogic Gryphon GBT4400 adds Green Spot technology. This means a green spot is illuminated directly on the code to confirm a good read. The green spot provides visual confirmation that can be helpful in loud working environments. 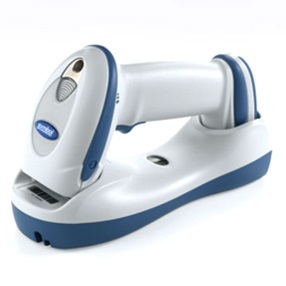 To compare Datalogic Gryphon GBT4400 with Motorola DS6878 and Honeywell Xenon 1902 barcode scanners further, each of the three provides a totally different method for helping users aim at barcodes. The Honeywell Xenon 1902 provides perhaps the most familiar aiming technology, showing the red CCD stripe used to scan the barcode. The Motorola DS6876 provides illumination for the user, which can sometimes be overly bright and intrustive. Most advanced is the Gryphon GBT4400, which gives users the most specific guidance – a red cross in the center and four laser dots at the corners, which makes it easy to frame a barcode. In addition, the Gryphon’s aiming system is activated by motion. The methods of scanning can be expanded by the Gryphon GBT4400 over its competitors as well. While the Motorola DS6878 and the Honeywell Xenon 1902 can lay in their cradles only in a downward-facing position, the Gryphon GBT4400 offers a two-position cradle that allows it to work as a presentation scanner. The cradle also enables the Gryphon GBT4400 to scan while charging – something its competitors cannot offer. 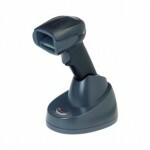 Finally, the Gryphon GBT4400 scanner features motion-sensing technology not available in the other scanners. This automatically switches the scanner into handheld mode when it is picked up, and returns it to stand mode when it is placed back on the stand. Users no longer must scan a code or flip a switch to change from one mode to the other. 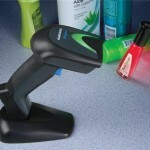 This saves time and effort, speeding along the scanning process and enabling retailers to serve more customers faster. For a limited time, the Datalogic Gryphon GBT4400 can be purchased at a heavy discount. Typically, the unit retails for $912 and includes a scanner, stand, cable and power supply. Right now, System ID is offering open box units for just $365. The following table compares specifications for each of the three barcode scanners.